We have been reporting from IMFAR, the annual International Meeting for Autism Research, since 2011. This year we provided general live coverage via Twitter, with select roundups including the Press Conference, and highlights from sessions such as Autism and Aging, Understanding Barriers to Autism Diagnoses for Children from Racial/Ethnic Minority Groups in the U.S., Mental Health Crises in Autistic Youth, and Autism and Sexuality. We also co-hosted the #AutIMFAR chat with autistic and autism research community members. 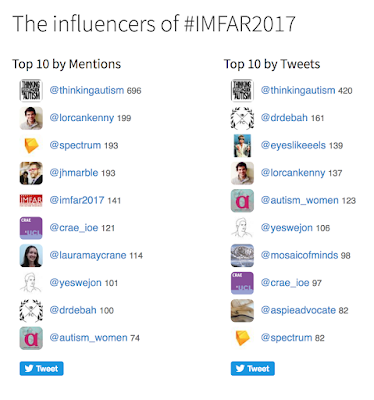 While the research presented at IMFAR continues to be varied in scope, and is still too disproportionately skewed towards prenatal, infant, and early childhood findings, our takeaway is that the 2017 meeting in San Francisco had the biggest increase in neurodiversity-oriented content and attendees we've seen so far. This is a welcome shift. 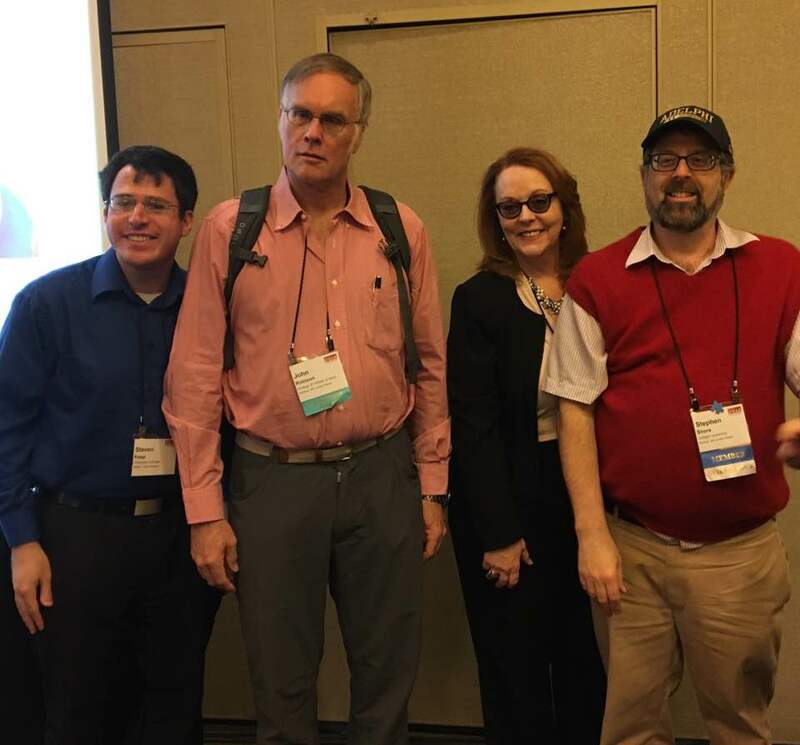 "The focus at IMFAR on an autistic perspective and autistic adults represents a change in attitudes and emphasis at this enormous international conference over the years. Five years ago, the phrasing in most of these talks was “people with autism” and “subjects” with a distinct tone of condescension, and the populations in the studies were mostly boys. This year, people are “autistic people,” the tone is one of much greater respect and care, autistic people were visible and participating, and researchers seem to have realized that not all autistic people are little boys." The more people talked about unmet autistic needs, the more under-examined topics emerged. Sue Fletcher-Watson (in person) and John Elder Robison (online) emphasized the need for researchers to pay attention to autism subjects autistic people and their allies consider common knowledge, then reinforce that knowledge with studies and data to both legitimize areas of need, and make them actionable. Precedents discussed during the conference include Liz Pellicano and Felicity Sedgwick's findings on autistic women's friendships, Noah Sasson and crew's observations on non-autistic people's harshly judgmental attitudes towards autistic people, and Lynsey Calder and team's confirmation that autistic children don't always share non-autistic social motivations. Autistica UK, a UK autism research charity that aims to be "the bridge between people with autism and researchers, ensuring that research responds to the needs of individuals with autism and their families," has even provided a list of Top 10 Questions for Autism Research. Researchers who addressed autistic needs at IMFAR itself include Sarah Cassidy, of Coventry University, who followed up on last year's groundbreaking autism and suicidality SIG with a SIG dedicated to asking the right questions and developing autism-appropriate support methods. Laura Crane and the team from University College London's Centre for Research in Autism and Education (CRAE) talked about helping autistic people, specifically minors, navigate Family Court systems (a TPGA interview with Dr. Crane is forthcoming). And the researchers in the panels on Mental Health Crises in Autistic Youth and Autism and Sexuality were mostly on point, according to autistic audience members. "Research into effective ways of responding to the immediate needs of autistic people is, however, less advanced, as are efforts at translating basic science research into service provision. Involving community members in research is one potential way of reducing this gap." What top three priorities would you pick for autism research, if you could? What are some really obvious-to-autistic people under-researched autism areas? What are some disconnects you’ve observed between research findings and #actuallyautistic experiences? What kinds of feedback from autistic people are most useful to researchers? How can autistic communities support researchers whose work we value? Can we provide leverage in getting funding? How can autistic & autism research communities better support autistic autism researchers and increase their numbers? What shifts have you seen in inclusion of autistic community feedback on research over time? How can this improve? For people with experience interfacing with both communities: What has surprised you about each? What disconnects do you see between autism research and clinical practice? Any topics we’ve missed that you’d like to discuss? A8: Academic community's not-so-well-veiled stigma re my autistic colleagues. The autism research organizations' representatives' responses to Robison's challenge ranged from enthusiastic and exemplary, to surprised and tentative, but the message is clear: Autistic people are holding autism research organizations accountable, and need to be included in autism research efforts. It is no longer acceptable for autism research conference participants to talk about autistic people as "them"; these discussions need to be about "us." Hopefully future IMFARs (which will be rebranded as INSARs, starting in 2018) will make progress in addressing and respecting the needs of autistic people of all abilities as well. Deb and I and many others will certainly be monitoring the situation. P.S. 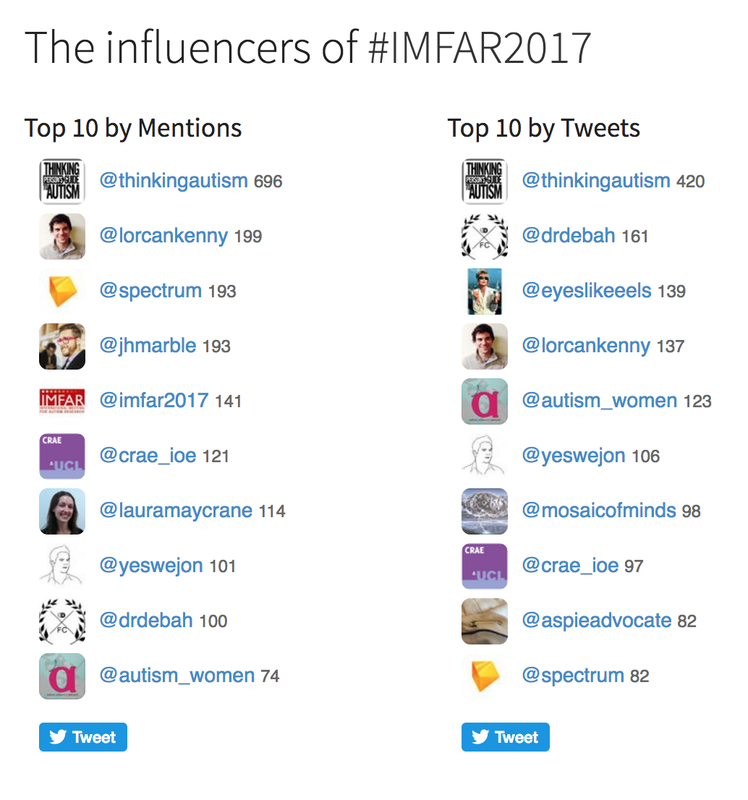 It's not a contest, but, we did win #IMFAR2017—purely in terms of our Twitter coverage. Spectrum's team won for articles published during and about the conference.